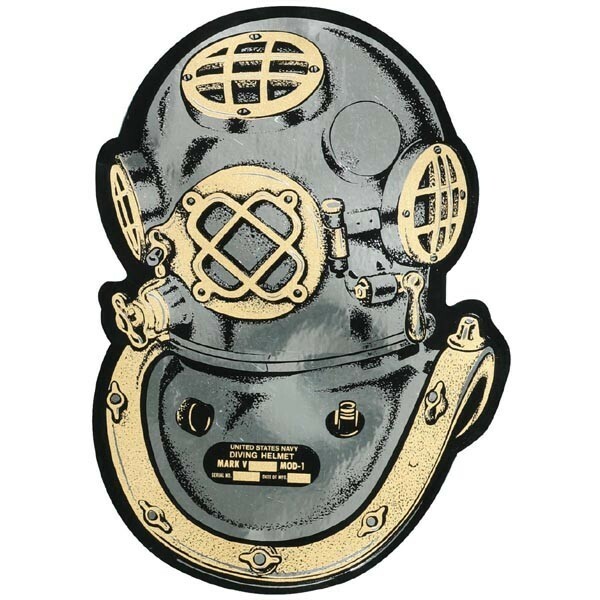 Diver Helmet Large, Metallic Silver Decal. Adhesive-back, outside window application. Made in USA.